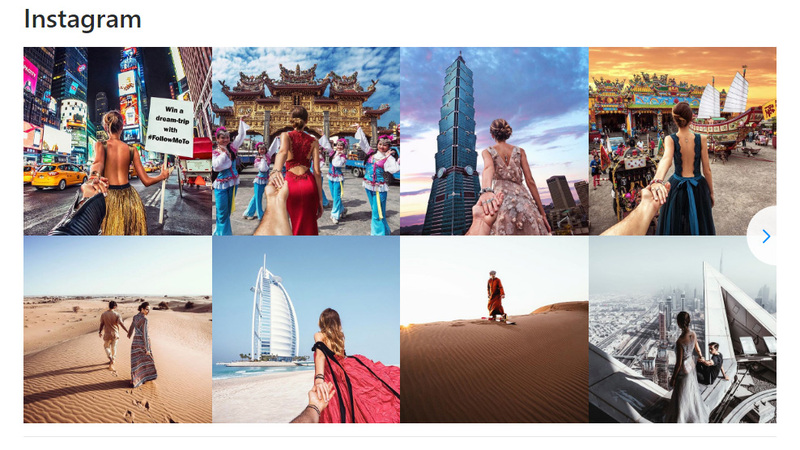 The best instrument to embed photo and video content from Instagram on any website – Elfsight Instagram plugin. InstaShow is a supreme Instagram widget, which gives a possibility to create wonderful galleries out of Instagram photos and videos. A huge number of customization parameters of your personal page: all sources, filters of content, more than 60 customizable settings and 10 layout variants, and completely adjustive for any resolutions. Use a totally responsive and useful widget, to attract visitors of your website immediately. Tell about your goods or services via pictures from Instagram with the help of hashtags, locations, profile or by particular URL, to double efficiency of your site. Embed additional buttons with a call to get subscription and uplift the amount of subscribers of your Instagram account. Astonish visitors and evolve maximum emotions, using content from Instagram, to get deeper interaction. Study our quick manual on embedding and designing the widget. Setup time is about 1 min., and more to that, you do not need knowledge in web development. In our demo, set your feed to be unique and get your installation code for inserting it on your site. 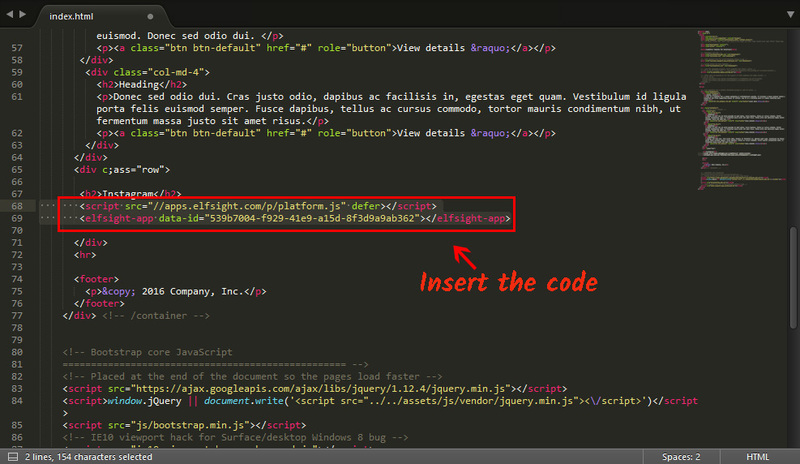 Insert the code into the required page of your site or into its template. Good job! It’s now up and running. If you need help with installation, setting or work of Instagram Feed plugin, don’t hesitate to address our customer support. We are happy to help! Get iFrame Instagram feed right now! 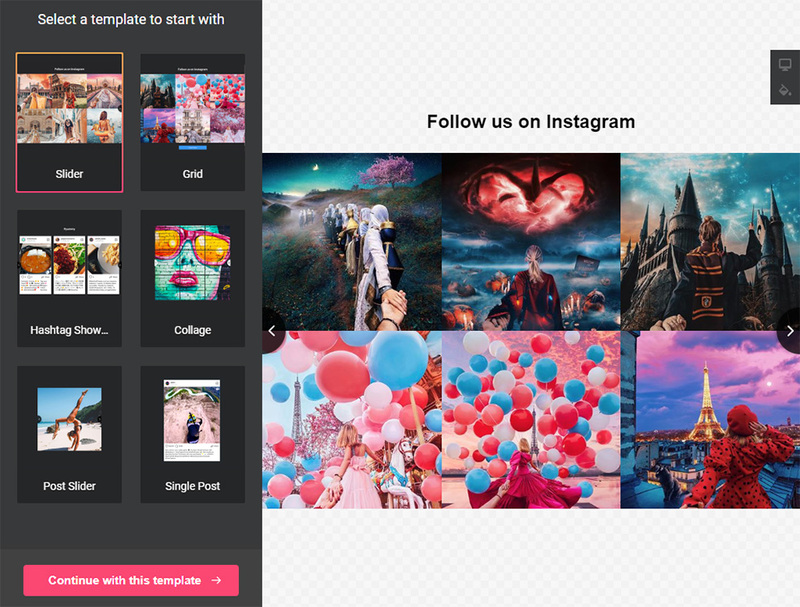 Try your Instagram Feed for website with the help of fast and free Elfsight editor.